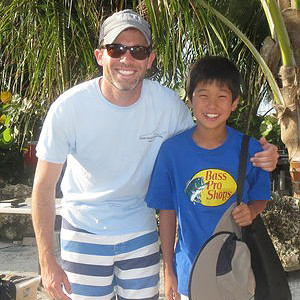 Florida Fantasy Fishing Camp is a specialized day camp created right here in Tampa Bay. 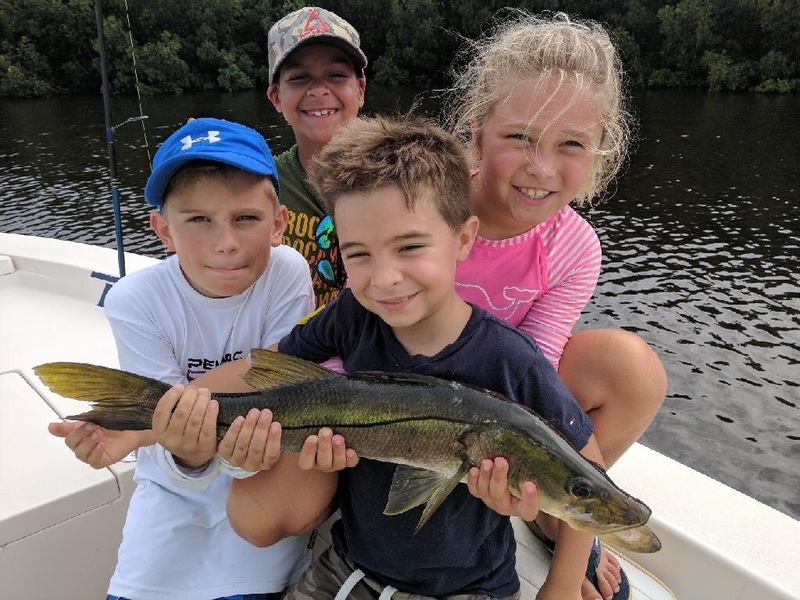 Lifelong Tampa angler, Parker Rabow, has created a fun and educational setting where young anglers can catch memorable fish while learning important sporting values on the water. The camp has hand-picked a few of the best professional fishing guides in the area who are perfect for teaching and fishing with kids. Camps are filled with target casting clinics, knot tying lessons, boating safety classes, fishing seminars, casting tournaments, cast net throwing lessons and, of course, fishing! Slide show recaps of the day’s catch close out each camp day. All fishing and lessons are given by our professional fishing guides. This unique day camp is one you’ll never forget! Parker Rabow was born and raised in Tampa. After attending Jesuit High School, he studied small business management and entrepreneurship at Florida State University. He followed his undergraduate degrees with an MBA and a Masters in Entrepreneurship from the Univeristy of South Florida. Everyday I dropped of my son, he almost RAN into camp! Loved the safety portion, Loved the knot tying, Loved the cast netting, Loved the use of time. I can’t thank your team enough for how well planned and thought-out this camp is. I felt there was no wasted time, no areas missed, and most of all, the week fostered excitement that is likely to last a lifetime. – My daughter did this Fishing Camp this week and LOVED IT! Chasten recently won first place in the Lil Darlins Junior Division of the Fire Charity Tournament in town and she has another tournament coming up July 21. This camp was for sure beneficial for her, she thought she was just having fun. But came home with so much knowledge on knot tying, conservation, different species or fish and even possibly perusing a career in this field after talking with the FWC speaker.. 🙂 . Would Highly recommend the camp. Actually my son wants to take it but he is only 6. Maybe next year! 🙂 Thank you Parker, and all the Captains. Please know that you all have made a difference in these kids lives. 🙂 thanks!! I love that its a small group on each boat, they are taught not only about the sport of fishing but at the same time the environment and how to care for it. Additionally the captains of the boats seem to truly care about these kids and making sure they are not only having fun but learning at the same time! – Thank you, Parker, for putting together such a fabulous camp this week. Jake has had so much fun and learned so much along the way. He’s already talking about next year’s camp! We really appreciate everything that you and the captains have done and give the camp the highest possible recommendation! – Robert has had a blast learning and fishing with you guys this week. His excitement and enthusiasm were evident every morning when he was up bright and early-ready to go! He can’t wait to do it again! Thanks for making it, as he says, “the best camp EVER!” See you next time! Thank you again from the bottom of my heart for offering such an incredible opportunity and experience for these kids. As a single Mom, I could never give Nick what you and Captain Whitfield gave him last week. He learned so much while having a great time; for that, I am truly grateful! My only complaint would be that you would raise the age limit so Nick could attend again next summer! The ‘goodies’ were a bonus and Nick is still talking about the Snook he caught. I will continue to recommend your camp. – 5 star ALL THE WAY. This is our son’s “Dream Came True Summer Camp”. Captains are wonderful, very well organized. Many species of fish were targeted and caught. Hours of fishing and learning everyday. Great thanks to Parker who organized this fabulous camp. We are looking forward to send our son (who wish to attend 10 wks long fishing summer camp) next summer.